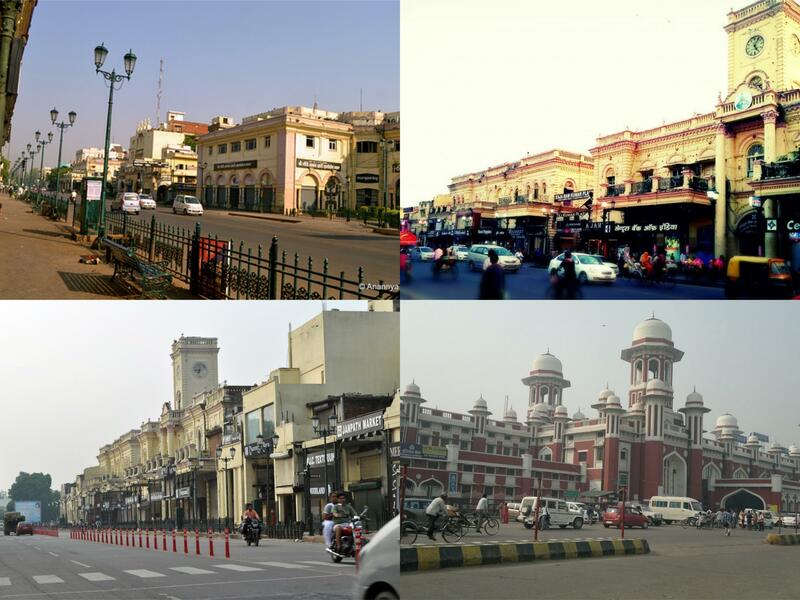 Lucknow city is famous for its rich architectural beauty of using 'Lakhori' bricks, fragrance of 'itra' (perfume), refined speech, unique entertainment style, costumes and manner of locals. One may take the pulse of the city through this walk. At Waltz India we take you into the lanes and by lanes of Chowk Bazaar – one of the oldest bazaars of Lucknow and the epicenter of culture. 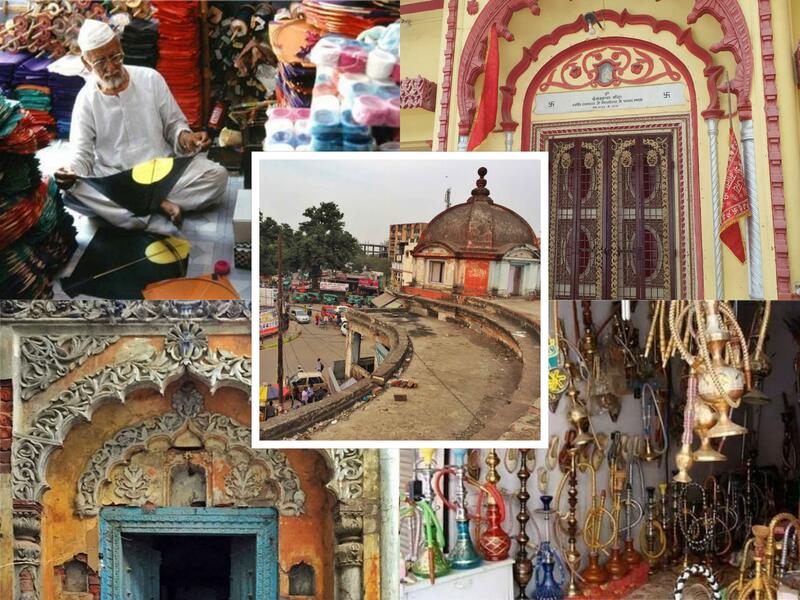 You may explore the vast history and culture of Lucknow walking down from Gol Darwaza to Akbari Gate. Our expert heritage guide will take you into the bygone era of this city making you feel that you are living in that era. Our Colonial Walk at Hazratganj takes you into its rich history, legacy and of course the market that has evolved with times to cater the cultured and the elite of Lucknow. We take you on this walking tour, that includes a session at one of the local shops, where you meet a senior shopkeeper, who has much more to share with you his experiences with the world renowned writers. On this tour you will discover and rediscover Hazratganj of yester years and will be able to compare it with the current Ganj of today. You also get an opportunity to walk in and out of the glossy showrooms and emporia that entice you with their colours and style. Walkers on this tour will be guided through this street by an expert guide. The walk will include an afternoon tea with some cookies in that area. Lucknow is very well known for its cuisine called Avadhi cuisine. Lucknow is the only city in India which has a colony of chefs called “Bawarchi Tola”. In this colony one may still find the chefs whose forefathers use to cook a special kind of dish to the royals of Avadh. 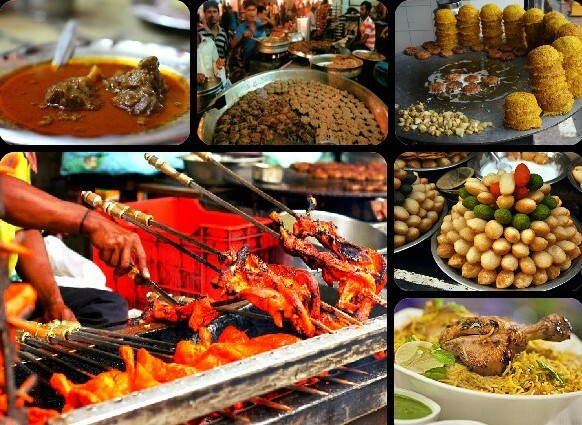 There is also a street where one can find the best from Lucknow’s very own kitchen. We take you to evening cuisine tour to the narrow lanes and bylanes of Lucknow where one may find the authentic taste of the various traditional dishes of Lucknow. This is a guided tour with our own set of cutlery and other necessary items like paper napkins, mineral water etc. there are several stops at different eateries like – kaleji kebab stop (grilled beef lever marinated with light spices, baked on charcoal fire and garnished with coriander and mint sauce). Mobeen’s Pasanda kebab stop (thin meat taken from hind leg of a lamb / beef marinated with spices and yoghurt, set on a steak and baked on charcoal fire, served with sheermaal – a special baked bread with milk, saffron and orange colour as its main ingredients and the mixed with purified butter), Rahim’s Nihari ghost stop (lamb meat chunks served with curry with special bread known as Kulcha which is made of fine flour and baked in earthen ovens , Tundey Kebab stop (finely minced meat mixed with more than 150 secret Indian spices and fried on a special pan over charcoal fire. This preparation is served with special kind of bread) and at last Kulfi stop (thickened milk mixed with dry fruits, saffron and cardamom in small air tight tin cylinders put into a big round pitcher with crushed ice and shaken for long to freeze the mixture in a form of an ice cream. It is served as a sweet dish. 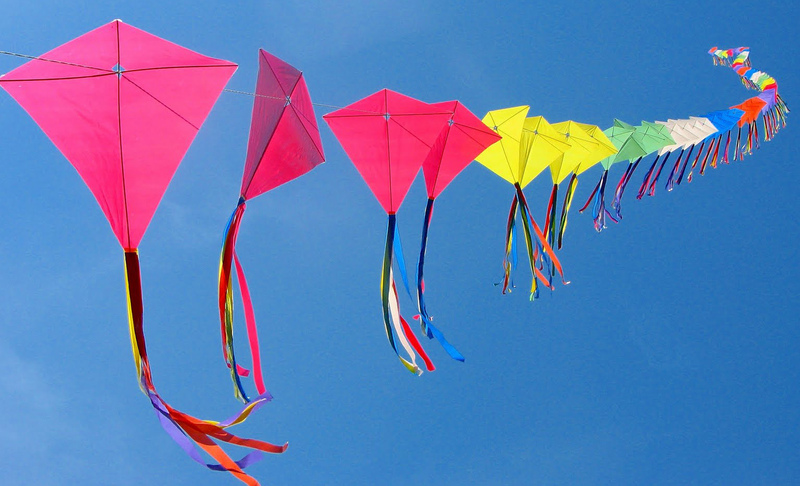 Kite Flying was and still is the favourite pass time of Lucknowites. The people here don’t have to wait for any special occasion to fly kites but it’s a regular feature in Lucknow. We take you on this exploring visit to a rooftop, where you try your hands flying kites and also learn the art of flying kites and winning the match. Kite flying enthusiasts of the city gather at one place and mesmerize you with old anecdotes connected to kite-flying and the Royals. We also treat you to traditional soft beverages (hot/cold). 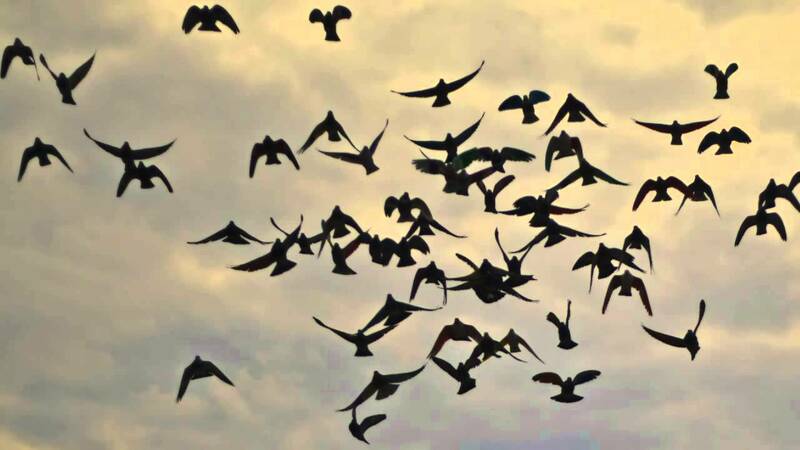 During the time of Nawabs, pigeon flying was an important daily activity of Lucknowites (including Royals) in the mornings and evenings. Best of pigeons were tamed and trained during that period. Thousands of rupees were spent on their diet. But now because of lack of time and money this activity is less in Lucknow. Still one can find few old enthusiasts doing so everyday on their rooftop. Special small houses (dhaabli) are made for pigeons. The pigeons still dance in the air on the tunes of their owners. On this tour we take you to one such enthusiast in the oldest part of the city and he explains you the tricks of flying pigeons over a cup of tea. 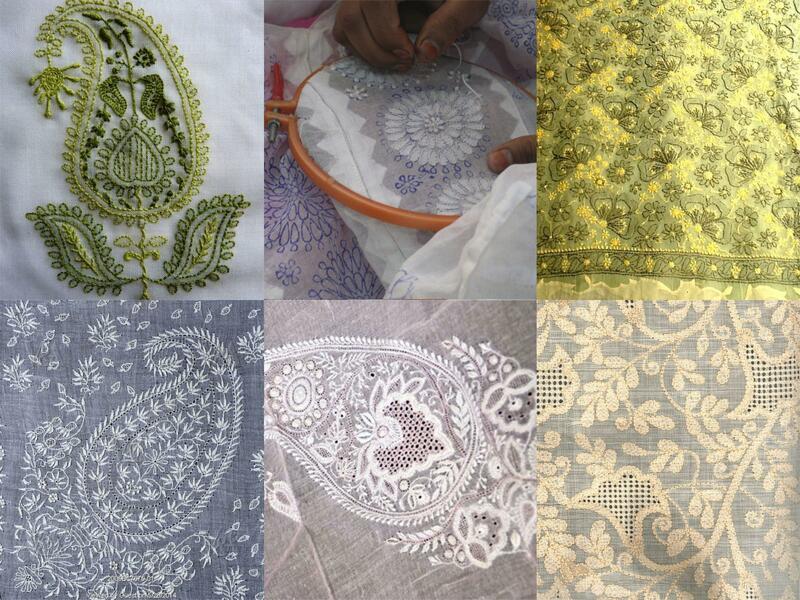 Lucknow is famous for it’s world renowned embroidery work (chikankari and zardozi). On this tour we take you to those places where you may see the artisans’ magic of thread. You may see their intricate work on a simple cloth done with the help of needle and thread. We take you to a ghat where one may see washermen beating clothes rhythmically on the rocks just on the banks of the river Gomti to clean them. You’ll definitely praise them doing so when you look them washing and beating clothes efficiently and pouring so much of their energy to make you look so pretty in those traditional chikan embroidered garments. This is not an ordinary dhobi ghat but with a difference as most of the clothes are chikan embroidered. Chikan is the embroidery work of Lucknow and is famous world over. 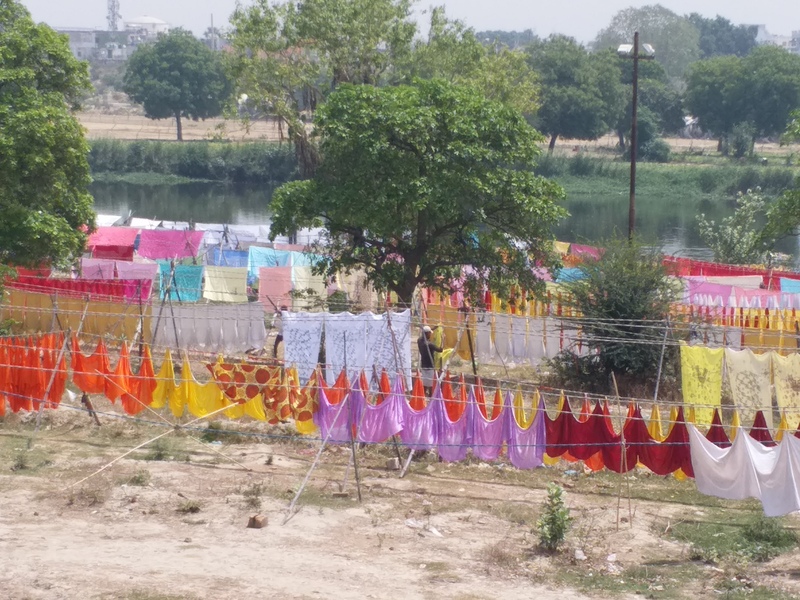 The washermen collect these colourful chikan garments and dress materials from the manufacturers in the morning and wash them on the banks of river. As these chikan garments get dirty when going under the master crafts women for quite a long time (as it takes a fortnight or so to complete the work depending on the design), these garments and dress materials are sent for a last wash, starching and ironing before being delivered to emporia. Each moment looks very beautiful – the sound of beating clothes on the boulders, sprinkling of water in the air, colourful garments being hung on the strings to dry in the Sun. The entire bank looks so colourful that the scene will leave you spellbound. Moreover, the local folk songs sung by the washer men add the beauty of the scene. We arrange chilled lassi or thandai served in earthen cups called kulhar along with charpoys (jute cots) to sit. You may talk to the washer men and know about their community or just roam around the ghats and appreciate the beauty of the infinite chikan embroidered garments on the ghat. Though the washermen stay at one end of the river but by beating and washing the clothes they try to making both their ends meet somehow. Through this programme we salute their hard work. 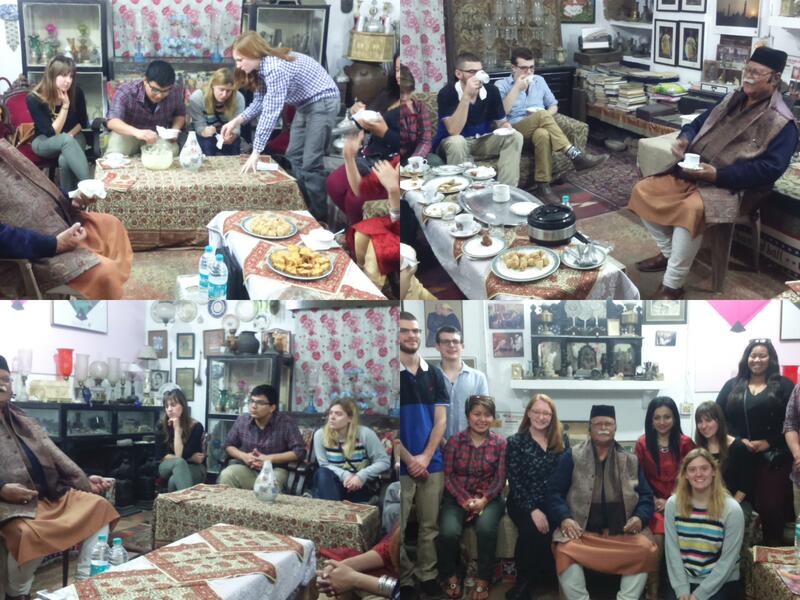 After seeing the beautiful monuments of the city built by the Nawabs of Lucknow, how wonderful it would be to meet one of the Royals (Nawab Saheb) himself over an afternoon tea, talk to him about all that he has seen changing over the years in Lucknow, know a bit about his family and experience the etiquettes, mannerism and the lovely speech. There is more to the city of Lucknow than its fabulous and great monuments, there is culture and host of cultured people and their lifestyle. 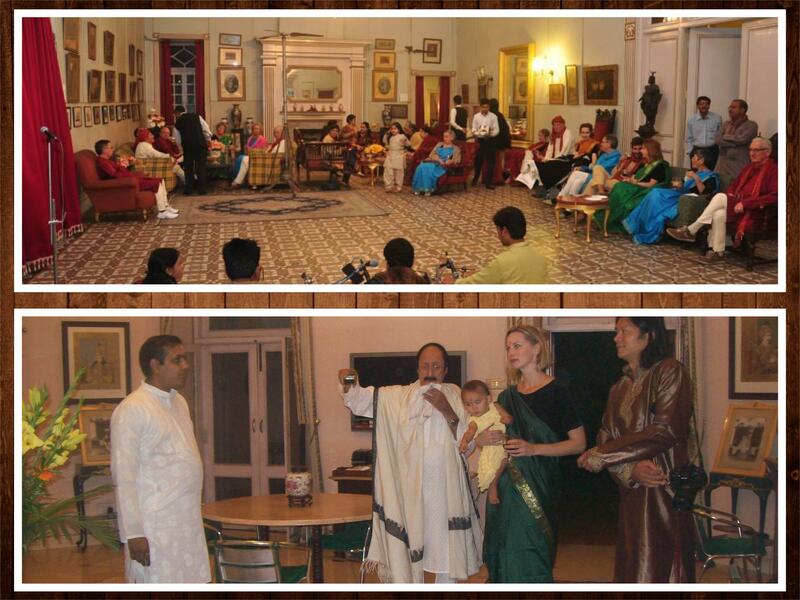 We take you for this one to one session, serve you a refreshing cup of tea, while you interact with Nawab Saheb. In this tour we take you to Jehangirabad palace in the city centre of Lucknow. Jehangirabad is an estate which was awarded by emperor Jehangir to Raja Farzand Ali therefore the name Jehangirabad. It was mostly located in Barabanki and surrounding regions of Avadh. The palace at Lucknow known as Jehangirabad palace was constructed to entertain rather than to live. It is spread in 1,10,000 square feet of area and is perhaps the last lived in palace in Avadh. It was only used for living after the Indian Independence by the family. The architecture of the palace was insired by Sir Walter Burley Griffin in 1930s. He is the same architect responsible for the city of Canberra in Australia. The architecture of the palace is Indian on the facade but the internal dimensions are mostly European with Fibonacci principles. Presently the palace is primarily used as the residence of Raja Mohammed Jamal Rasool Khan. It continues to hold grand receptions for various national and international dignitaries. This is an endeavour by the present owner Raja Jamal Rasool Khan Saheb to open the doors of the palace to the public so they may understand and cherish the rich cultural heritage of Lucknow. 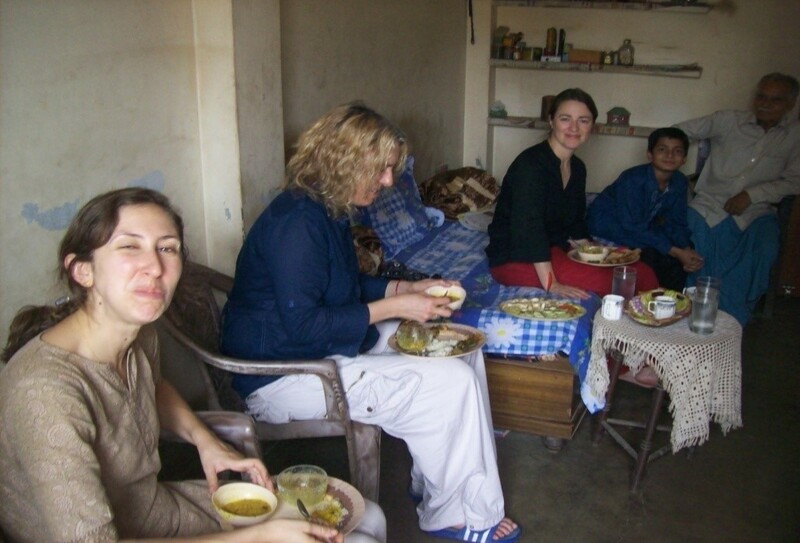 We take you to a local Lucknowi family for a lunch where one can chat with the family members and can know their lifestyle and habits. One can also join hands in the kitchen to know about some delicious local recipies. 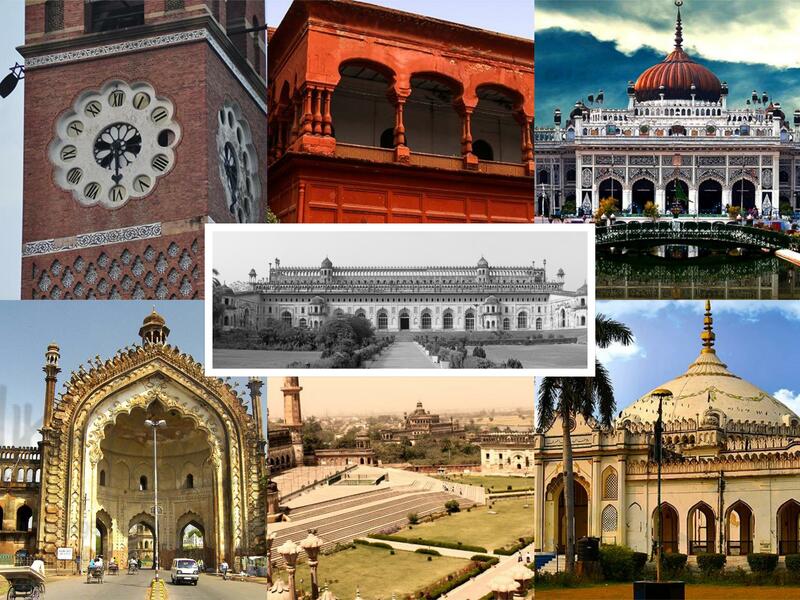 In this tour the guests are taken to those monuments of Lucknow which were influenced by British Raj. During this tour one could have a fair idea of the 1857 Revolt. 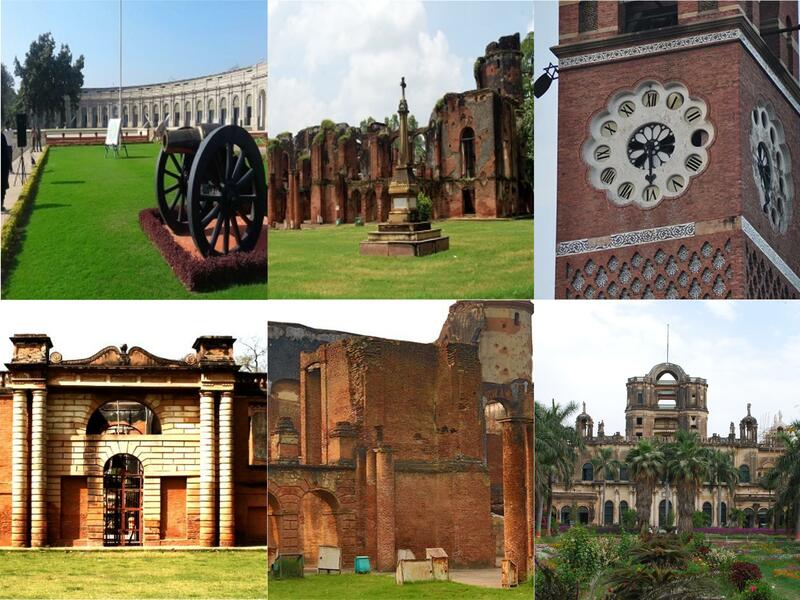 The monument covered in this tour are – British Residency, La Martiniere College, Clock Tower and Dilkusha Palace. Ramadan also known as Ramazan, is the ninth month of the Islamic calendar and is observed by Muslims worldwide as a month of fasting to commemorate the first revelation of the Quran to Muhammad according to Islamic belief. Ramadan also teaches Muslims how to better practice self-discipline, self-control,sacrifice, and empathy for those who are less fortunate; thus encouraging actions of generosity and compulsory charity. During this month one could easily witness the unity between Hindus & Muslims. The streets are well decorated in the evening. One could taste the authentic cuisine of Lucknow in the narrow lanes and by lanes of Lucknow. Our expert guide will explain the importance of Ramadan during this walk. 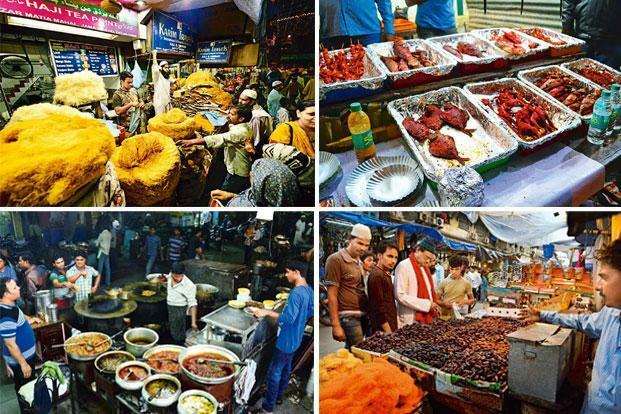 Not only muslims but many Hindus also take part in the fasting during the day and then in the evening once can see the rozedars (people who fast during this month) hopping from one kiosk to another in the old bazaar of Lucknow which is converted into a gastronomer’s delight in the evenings.